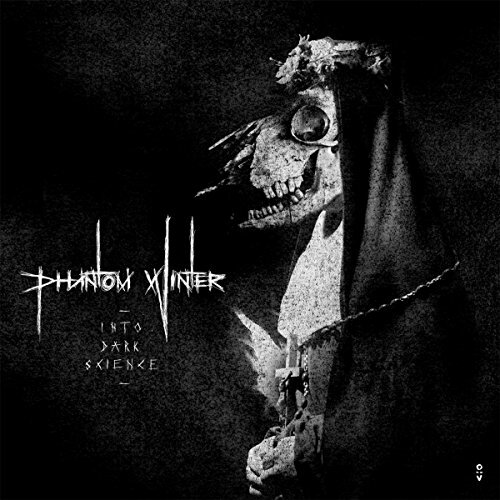 Phantom Winter are known for creating dark and noiseful songs described as “Winterdoom” since their first album back in 2015. Following the tradition of „Cvlt“ and „Sundown Pleasures“, their third record „Into Dark Science“ is build on a sociocritical background and is difficult to conceive without looking at the linernotes and quotes from (feminist) writers and thinkers. On the musical side, the material is really demanding and doesn’t feature an overwhelming punch-in-the-stomach piece like “Bombing The Witches” from “Sundown Pleasures”. Blast-beats are appearing more frequently and the screams are scratching on the edge of edurability. Nonetheless, „Into Dark Science“ is very powerful and wipes out every inch of blooming flowers in spring.